A great way to explore the cultural and historical sites in Hendricks and Morgan counties is to take part in the Rural Routes to Main Street Cultural Trail&apos;s Second Saturdays. In addition to the regular trail sites, Second Saturdays offer additional sites as well as special activities. You can click here for more information. 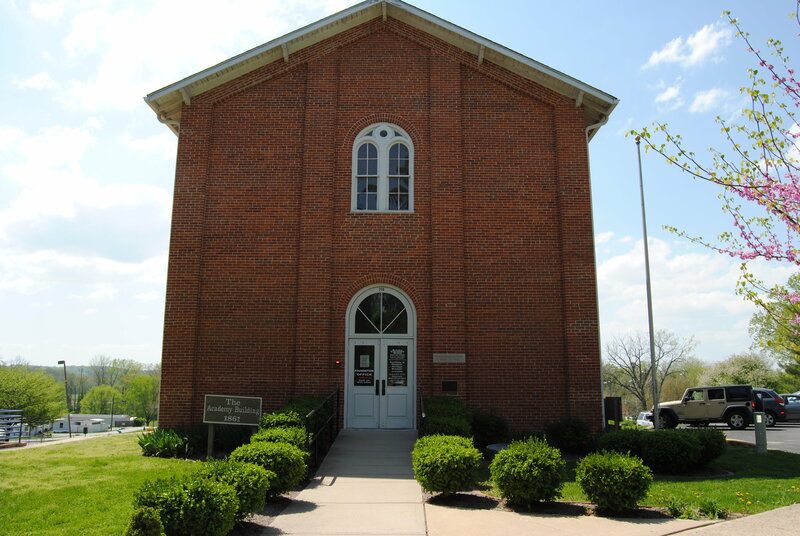 One of the Second Saturday sites is the Academy of Hoosier Heritage located in the Mooresville Academy Building in Mooresville, Indiana. I have driven pass this museum countless times and never knew it existed. It is located on North Monroe Street (Ind. 267) next to Newby Elementary School. Renovations In 1861, the Society of Friends (Quakers) opened the building as a high school. It was used as a school until 1971. In 1975, it was put on the National Register of Historic Places. After years of declining use, the building was in need of renovations. In 1997, the Mooresville Community Foundation obtained a grant and began those renovations. The building was reopened in 2000. 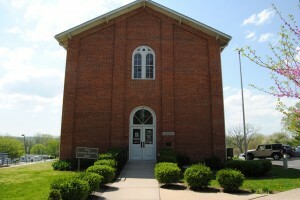 Today, it houses the Academy of Hoosier Heritage and the Mooresville Community Foundation. When you visit the museum, you can look through photo albums that chronicle the renovation from cleanup to completion. 1800s Classroom My favorite part of the museum is the replicated classroom from the 1800s. Guests are invited to take a seat in one of the desks and imagine a school day in the 19th century. 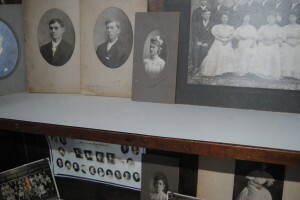 The room is complete with chalk boards, slates, old-fashioned toys and replicated books from the 1800s. 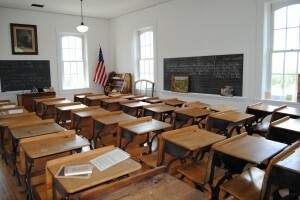 The desks in the museum are not the original ones from the school, but are from the same time period. When the Academy Building was constructed, students sat on wooden benches. At the time of the renovations, many of the benches were in disrepair, but one bench was renovated and now sits in the classroom. 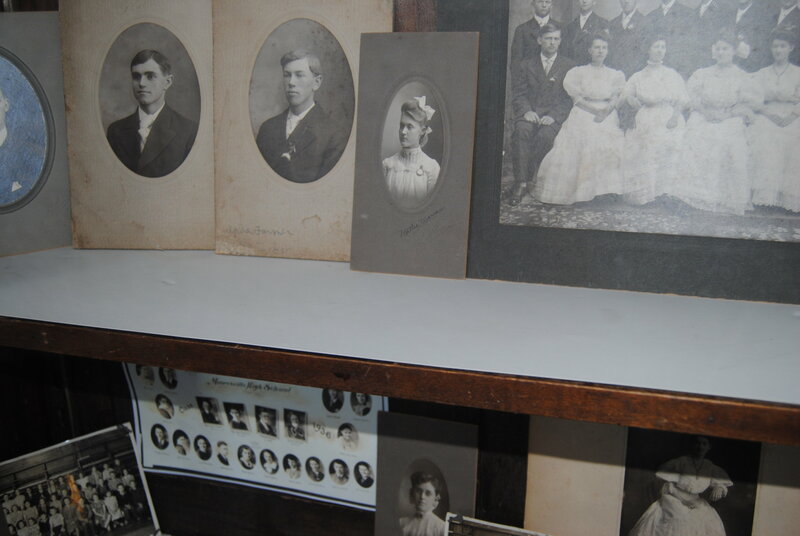 Local History The museum also houses items such as yearbook photos from Mooresville High School, a portrait of Samuel Moore (the founder of Mooresville) and other artifacts that represent local history. The front section of the museum features temporary exhibits. Visit on Second Saturday The best time to visit the museum is during Second Saturdays. The next Second Saturday is this week, May 11, from 11 a.m.-3 p.m. At that time, you can see a new temporary exhibit featuring military memorabilia in honor of veterans. The museum will also have special family activities. In addition to Second Saturdays, the museum is open on Wednesdays from 2-7 p.m., and admission is always free.